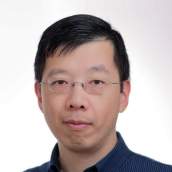 Alvin Shih has been employed in financial services IT for nearly two decades as a hands-on software developer as well as a software development manager. He became interested in autism after learning about children of fellow IT professionals exhibiting selective mutism or becoming completely noverbal, as well has his own daughters being diagnosed with PDD-NOS. After taking a Coursera class on Behavior Analysis, he became a huge believer in the ABA-focus of the NYC Autism Charter School and serves on its board to support its ongoing success.